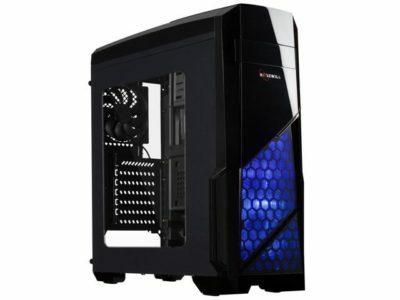 Looking for a budget case that still looks good enough to handle an epic build? The black Rosewill Nautilus fits the bill and then some. With a sale price of only $49.99 for the next six days, you’re left with more funds in your pocket to invest in more components for the build itself. 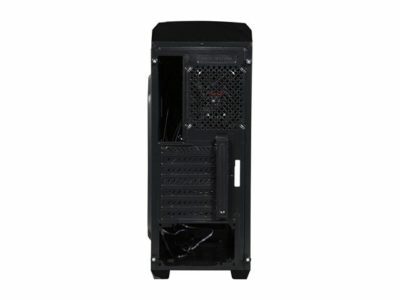 Included are three pre-installed 120mm fans (2 blue LED fans up front, 1 in the rear). 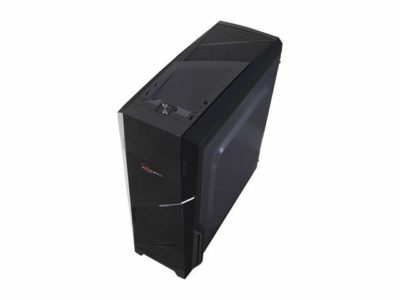 The case supports graphics cards up to 14.96″ in length, and has 2 USB 3.0 and 2 USB 2.0 ports up top for easy access. I wouldn’t say this case is designed with flexible watercooling options in mind, but it does support up to a 154mm CPU cooler. You can add up to three 3.5″ internal drives, or up to five 2.5″ drives (or a mix of both). 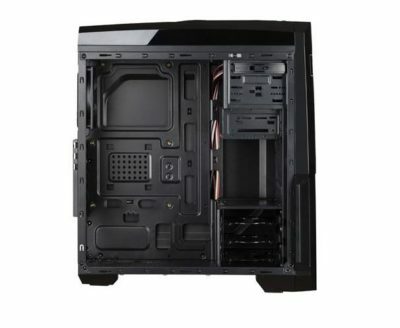 Motherboard form factors supported include, ATX, Mirco-ATX, and Mini-ITX. The high gloss finish looks amazing when clean, but factor in the possibility of more noticable fingerprints and dust. There’s always a trade-off when you shoot for the stunning looks of a gloss black finish. Either way, there are hardly any other cases under $50 that still maintain a premium look and feel. This is one that pulls it off spades. Check out the link below to pick one up by the 18th for this price! NOTICE: Please make sure your motherboard equipped with on-board USB 3.0 socket before purchasing.